A girl and a woman meet as student and teacher. 7 years later, they become sisters-in-law through marrying brothers and even become stepsisters after remarriage of parents. 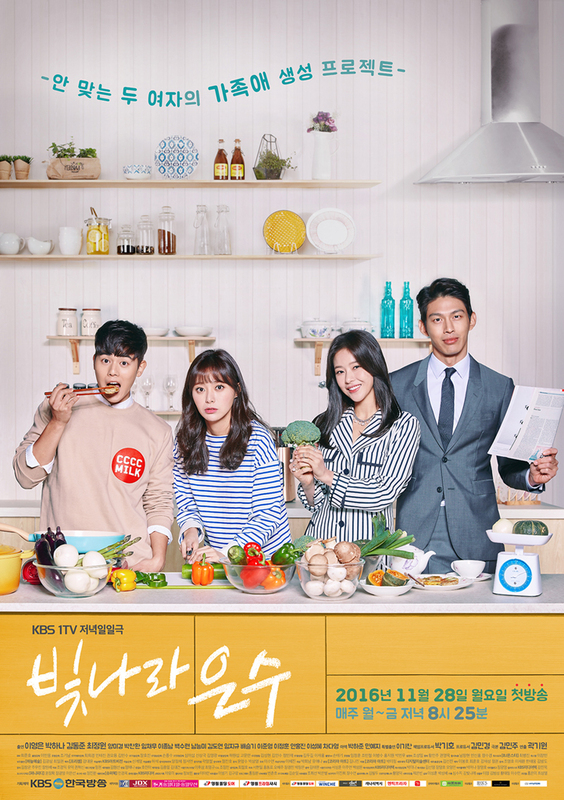 "I Still Love You" takes over the KBS 1 Mon - Fri 20:25 time slot previously occupied by "The Unusual Family" and followed by "Lovers in Bloom" on May 29, 2017. Early working title was "Geuraedo Saranghae" literally "I Still Love You." rahul Jul 01 2017 2:36 pm can anyone give me the list of the songs used in the entire series? mlee Jun 06 2017 10:32 pm where is ensu mom at the end? Jada Brooks May 31 2017 8:27 am Thanks Alphaz for your comment. And Taugeh I also think it's weird that Eunsoo's mom wasn't there for the last five episodes. I'm very curious as to why she wasn't there. It was definitely strange but I loved the drama. Even though there were some mean people they weren't particularly evil just scared and Eunsoo's forgiveness showed how better it is to forgive than seek revenge. With her forgiveness she set herself as well as Bitna free and allowed her family to become a well blended and large happy family. It was refreshing over some of the darker dramas where all the revenge and fighting destroys families. Taugeh May 30 2017 7:28 am Finally in the end, Eun Soo and Bitna are like real sister with sibling respect and love amongst them. Good show. The story line is different and the bad character finally turns nice and becomes family. Sadly Eunsoo moms actress was not there from ep 121 to 125 which is weird! Alphaz May 26 2017 8:49 pm @ Jada maybe because her contract only for 120 episode because when eun soo take to hospital her mother also not there. So from 121 to 125 she already not on the scene. Jada Brooks May 26 2017 6:39 pm Where was Eun Soo's mother in the last episode? Is she ill? I'm disappointed how it still felt rushed at the very end even though it got extended to 125 episodes. The writers should've changed Bit Na's character once she sincerely apologize to Eun Soo instead of dragging her bratty character to the very last few episodes and then change. They also brought on Soo Min & her mom conflict for too long as well, quickly resolving it in the last episode. I get that there will be some episodes that dragged because of the amount of episodes but with that many episodes, you would think the writers at least plan it out better story wise instead of rushing it at the end. Otherwise still a happy ending which I'm satisfied of. This and Golden Pouch was the very first 2 dramas I watched that surpass the 100 episode total mark. Probably just going to stick to 20 episodes or less drama for the time being. dianneandie May 16 2017 9:50 pm This is the first time I was hooked in a Korean drama that was this long. I was waiting for the sub one everyday. At first I was a little hesitant about the pairing of DongJoon and Lee Young-Eun, but they tried their best and they were cute. BitNa was annoying but at least she was able to give her apology though it was late, she was young then. I really like the grandmas. Though they argue a lot, at the end of the day they care about each other. Time After Time May 06 2017 6:52 am There are few episodes left before this show finally ends. I just don't like how Bit Na's grandmother has not realized her mistakes, how ungrateful her character is, and there's too much pride in her body. I hope she'd somehow change towards the ending. Miku May 04 2017 7:08 pm I still cannot stand Bitna and her grandmother. They're so annoying! Alphaz May 04 2017 3:41 am Okay so which one have the higher position in the family now Bit-na or Eun Soo. or it's flexible and is it also implemented to soo hoo and soo hyun too? lion Apr 30 2017 12:14 pm Omg i just realised the actress that play eun soo is the same actress that that play song hyekyo's best friend in full house... No wonder her face is so familiar. ???????? Kun Apr 28 2017 12:12 am Bit Na, you are the best. Love you! Interesting story with many turns and twists. Of all the characters I like the character of Bit Ba the most. She is such a pretty darling. She perfectly performed the role of a self-centered teen who got entangled in her own web. She is an innocent looking devil but has a nice and pure heart. Though she posed to be brave and defiant, she always felt that she is hurting others but too afraid to admit. She has been insecure since she lost her mother in childhood and she always feared that she will lose whatever she has. In last few episodes 99-104, she made me cry with her many times. I just love her work and wish her success in all her future endeavors. JAC Mar 30 2017 2:48 am Wow idiotic having a baby! Bad seed child........just like the mother. Kanja Mar 22 2017 11:44 am I feel like this drama would be so much better if they had only paired Eunsoo character with Choi Jungwon character Suheyon instead of Dongjun character, but did the exact opposite. I like Suhyeon's character a lot when the series first began, but they turned him into a loser and hypocrite by pairing with witch Bitna. The storyline feels so linear because most have seen it repeated in so many other productions, and now their will be even more drama when it is revealed Eunsoo eomeoni Ms. Oh like Bitna abeoji Mr. Kim....I'm a little disappointed at the direction of this show, because it had potential to be very likable, but the writers decided to play the Eunsoo/Suho 10 yr age gap ordeal instead...aigoo. Eff Mar 15 2017 1:38 am Lol in the drama Dongjun is about the same height as female lead but in profile here he is 175cm and she is not even over 170. Kdrama Mar 11 2017 7:43 am Is it me or have the writer's toned down the spark between ES and SH? I keep wondering what happened to the passion we saw in Ep 46? JAC Mar 10 2017 5:39 pm SinJin oh Bit Na playing the same old tricks to get attention. Very immature and childish. Anastasia Mar 08 2017 6:17 am There are just too many people in this drama...and 120 eps???!!! Wow, there will be lots of fights, betrayal, abuse ang hateful acting coming! NANCY Mar 06 2017 7:44 am Wow, can't belive that it's a decade age difference between Suho and Eunsoo in real life, I thought it's just a mere couple of years. If they would cover more her dark circles and has long hair, she'd look same age as Dongjoon. 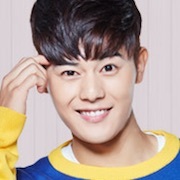 Love this drama especially watching Kim Dongjoon, talented guy. Maya Mar 02 2017 6:57 am I ways watch this drama and its a really great one .I think the story is great but the only thing i don't like is that eunsoo is better when her hair is long .Also I love it because it made me cry and only a great one can make me cry. Alphaz Feb 24 2017 7:51 am LOL Jamse i already told u everything is predictable until they completed their plot so no matter how hard Soo-ho mother try to stop them they will marry in the end. but actually its interesting to see eun soo mother that used to so calm can become angry too. And some interesting is Bit na overheard Yoon Soo-Hyun said he married her not because he love her. And Bit na is jealous with Eun Soo. Jamse Feb 24 2017 12:28 am Oh No! Soo-ho's mother doesn't like the romance her naive, innocent, precious son is having with Eun-Soo and is running around screaming at everyone and threatening her! Who would EVER had seen that coming? Kdrama Feb 15 2017 5:12 am Really enjoying this drama! The big suprise for me is Kim Dong Joon! In the beginning of this drama it felt like he was a bit too over the top in his acting, but I can really see he has really captured his character well as the story develops. His role has really helped to pull me into this story! Alphaz Feb 14 2017 1:38 am Well so far its still predictable because its already in the plot but the journey to that also interesting. Looking forward for what happen after all that in the plot happen. Maybe the truth 7 year ago finally revealed. JAC Jan 31 2017 8:48 pm O.K. , Sorry! EUNEUN Jan 31 2017 12:56 pm hmmm.. i guess you guys that leave such a bad comment for this drama are totally wrong.. i have been watching it from the start.. this drama is so funny.. you guys that never missed this drama know that yoon suho and oh eunsu always fighting and nagging like a child and they start to fall in love to each other.. i like them so much.. my mom too.. why don't you all leave such a good comment for this drama even it make you guys sick to watch it? they try for their best in this drama.. who know that they had not enough sleep? poor them.. so please guys.. don't act like immatured person..
vixdu Jan 30 2017 3:49 pm Kim Bitna-ish characters are becomingly increasingly common and Yoon Suhyun is no better, such a dumbass. Meanwhile the brat Yoon Suho is being more a brat and shows of his wealth to Eunsoo's family and puts down Hyungsik's self confidence by giving them expensive gifts. Aigoo!! Who else is with and ships Eunsu with Hyungsik (and maybe Eunho with Sumin, Hyuna is not bad with Suho either)? JAC Jan 26 2017 7:26 am Kim Bit-Na,	Yoon Soo-Ho, and	Yoon Soo-Hyun are the worst characters in a 2017 drama. Joong Jan 23 2017 7:27 pm Can someone who's watched this show already comment the whole entire drama please? I watched 10 min of the intense scene between main character and the character who did her wrong. But I don't watch dramas and don't feel like watching this drama, too long. Thanks in advance! Jamse Jan 20 2017 11:53 pm This show becomes more meandering and boring as it goes on. Bitna, who started off with some nuance to her motivations has become the typical, blank expressioned, sociopathic drama villain. We'll spend the next 80 episodes watching her try to sabotage Eun Soo who is so annoyingly cheerful you'd never know her life was almost ruined. All the while having to endure the side stories of the secondary characters, none of whom are very engaging or interesting. JAC Jan 20 2017 9:22 am It is off beat because of the acting and characters! Sorry Newbies.......the writing and drama is not working. Asskick Jan 19 2017 1:10 pm This drama seems offbeat. Unliike the other drama where the poor is protago ist and the rich old is ssearching for whomever the heir.... yeah like the king is searching for his long lost heir. Seems now another drama but seems getting nowhere, just random event. Jasmine Qa Jan 16 2017 6:12 pm Yoon Soo Ho, naughty boy, spoiled, stone-head (stubborn)..but cute, so cute! Yoon Soo Ho and Eun Soo will be fun, charming, clumsy-love couple. What so bad about difference aging? Eun Soo's lack will be completed by Soo Ho's and vice-versa. I am worried that the script will turn Eun Soo's feeling into Soo Ho's brother, Soo Hyun? in order to create conflict beetwen Eun Soo and Bitna..
Ay Jan 16 2017 6:16 am I hate that Bitna character but the whole show is about her. I am not watching her parts but it's causing me to miss almost whole episode. I guess they are tricking the actress who plays Eunsoo by telling her that she is the heroine. Kanja Jan 11 2017 9:28 pm Bitnara Eunsoo is not a terrible show, but I feel like the storyline is seriously dated, because it's been done so many times before. Also I feel like the future pairings of Eunsoo/Soho & Suhyeon/Bitna aren't that great either it. I'd be a lot more intrigued with this show if the swapped the pairings, making Bitna/Suho a couple while Suhyeon/Eunsu became a couple. I'm still watching, but definitely not liking the pairings. JAC Jan 11 2017 6:59 am It is a silly drama. Recycle drama that is base on older women younger boy. Jamse Jan 06 2017 11:07 pm This show is just plain silly. Lee Young-Eun is a beautiful woman but she's 10 years older than Kim Dong-Joon and it shows. They're supposed to be love interests? Please! She looks and acts like his Mom. JAC Jan 06 2017 7:52 am You are so right that It's Hyeri and JoonJae all over again! OH NO! Tybolt Jan 05 2017 10:22 am The actress playing the jilted girlfriend (Jung Wha) looks a lot like actress Yoon Soy who I noticed in the birthday section of HanCinema today. Her bio shows that she's been in many productions playing big parts, so I doubt that it is actually the same person, but many of her pictures look similar. Jamse Jan 05 2017 12:40 am This show started off fine with tense episodes and a horrific premise, a teacer whose life is destroyed by a malicious student. Then all of the sudden it's years later and the show is meandering all over the place. It's about the Aunt. It's about the Boarder and his kids. It's about the restaurant and food company. It's about the brother and his fickle girlfriend. The two protagonists are reduced to bit players in whatever plot distraction they're involved in with virtually no attention paid to the events that started this series. Major disappointment. JAC Jan 04 2017 11:11 pm OMG I just reviewed ep. 5 and Kim Bit-Na (Park Ha-Na is playing another nut case, psychopath). Crazy rich girl, but I still think the character Choi Jung-Won deserve a crazy wife because he is greedy. What a drama young husband and nut couple? JAC Jan 04 2017 8:23 am Got to admit that FIRST LOVE AGAIN drama is much better than this one. First Love again writing, acting,and directing & overall story beats this miss cast of immature actors. Rich girl that gets whatever she wants including a company and man is boring. SinJin character seems to follow Park Ha-Na. Lee Young-Eun, acting is great,but the young man 10 years her age needs more experience as an actor. JAC Jan 03 2017 11:47 am Obviously the two lead actor and actress abilities are different. Oh Eun-Soo character may be young, but her acting is good. 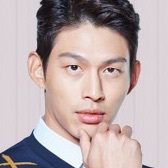 Nevertheless, Yoon Soo-Ho character (actor Kim Dong-Joon) is really immature. Watching to see if Kim Bit-Na character will be as nutty as SinJin in the Promise. What a nut case? Great match with Yoon Soo-Hyun character in this drama because they both unloving characters. benyan Jan 02 2017 1:23 pm Lovely drama! yuki Jan 02 2017 7:09 am Hi! I would like to know the name of the actress who played as the ex-gf of Jung Won in the drama. She's not listed here I think. Thanks! Kanja Dec 07 2016 10:36 am Bitnara Eun-soo seems like it will be great drama already after viewing the first 3 episodes. I love Park Hana & Choi Jungwon, and even zEA: Dongjun. I hope it's a hit. CandyCrush Dec 05 2016 6:46 am Nice to see you again, Lee Young-Eun. You deserve to be in KBS again, after 149 episodes from the Strange Family. Awesome pilot episode I watched earlier tonight. Expecting more fun to come, good looking cast. Der Dec 03 2016 11:38 pm Can't wait for this drama!!! Bae Seul Gi <3 Love family dramas like this. JAC Nov 28 2016 9:27 am Looking forward to a fresh new drama. Dave Sep 16 2016 7:30 am Omo! Cant wait. Love kdj! Mari Sep 08 2016 3:10 am Congrats Dongjoon on landing a leading role.